Owners currently can only receive feedback via email or through the ShowingTime App. For an Owner to receive feedback, they need to be configured properly on the listing for which you would like to provide them with the feedback. 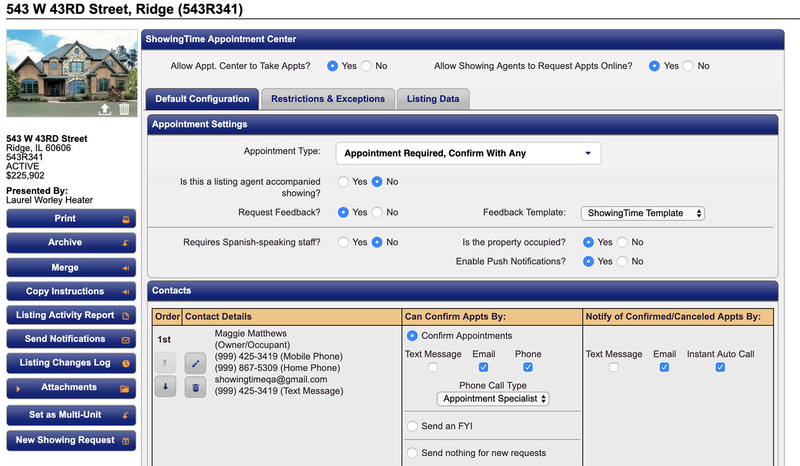 Select the Listing for which you want to configure the owners to receive listing feedback. In order for an owner to receive the feedback, they must first be added to the listing and they need a valid email address added to their contact information. If the owner hasn't been added to the listing yet then click on the Add New/Owner/Occupant button. 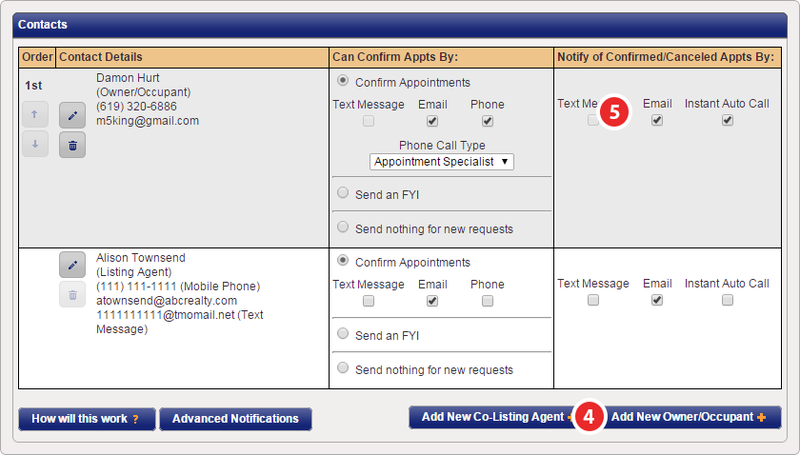 Once an owner is added to the listing you need to make sure they are configured to receive email notifications for Confirmed/Canceled Appointments. When first configuring your Feedback Settings, you chose to either publish feedback automatically or hold for review. If feedback is not being sent to your seller it's more than likely due to this setting being configured as hold for review. If you had feedback queued up to manually publish before choosing to automatically publish, you might still need to manually publish those feedbacks. Start by selecting Reports from the side menu. 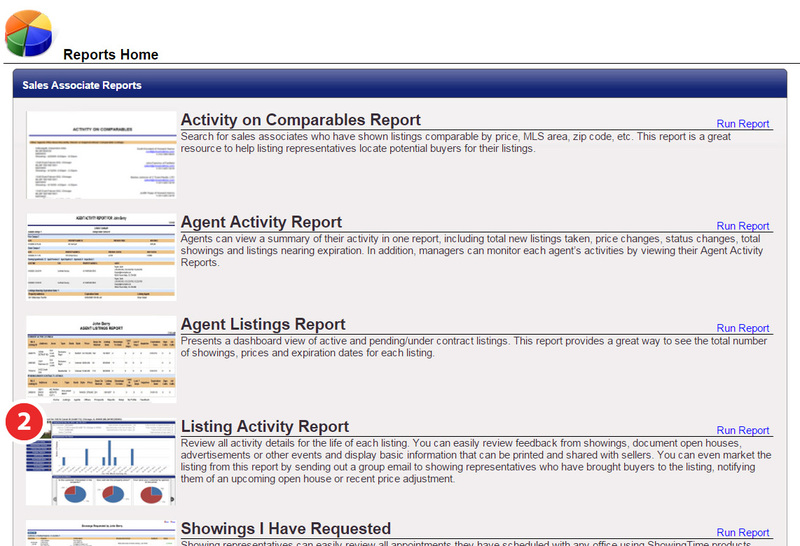 Then select Listing Activity Report from the list of available reports. Then select the listing for which you want to publish feedback to the owner. Scroll down to the section labeled Feedback Responses. Then under the section labeled Available to Homeowner? you will see a list of published & unpublished feedback responses. Click on Publish to immediately send that feedback via email to your owner and make it available on any listing activity reports generated in the future. Sometimes agents don't respond to feedback requests or they might have answered the feedback in a non-traditional way (e.g. A phone call directly to the agent and not via the email request). As a Listing Agent, you have the ability to enter in the feedback provided by another agent yourself. There are also other options available to manage the feedback. You will be presented with the Appointment Date & Time, the listing for the feedback request, Showing Agent's information for quick reference, and Feedback History, which is a list of when the feedback was sent when it will be sent, and any other note pertaining to the feedback. Resend Email - Allows you to manually send the feedback request email to the agent instead of waiting for the next send time, or even request emails have been sent the maximum number of times. Mark Unresponsive - Marks the feedback as unresponsive and no further attempts will be made to request the feedback. ShowingTime has recently added some new and improved features to make it easier for you as an agent to view, manage, and organize your feedback. Feedback can now be searched through a more streamlined search bar, including options for the date range and the type of feedback you are looking to manage. You will also have your feedback broken down by two tabs - 'On My Listings' and 'Listings I have Shown'. Going one step further, you can group and sort your search results by date range, street name, agent, or feedback status.